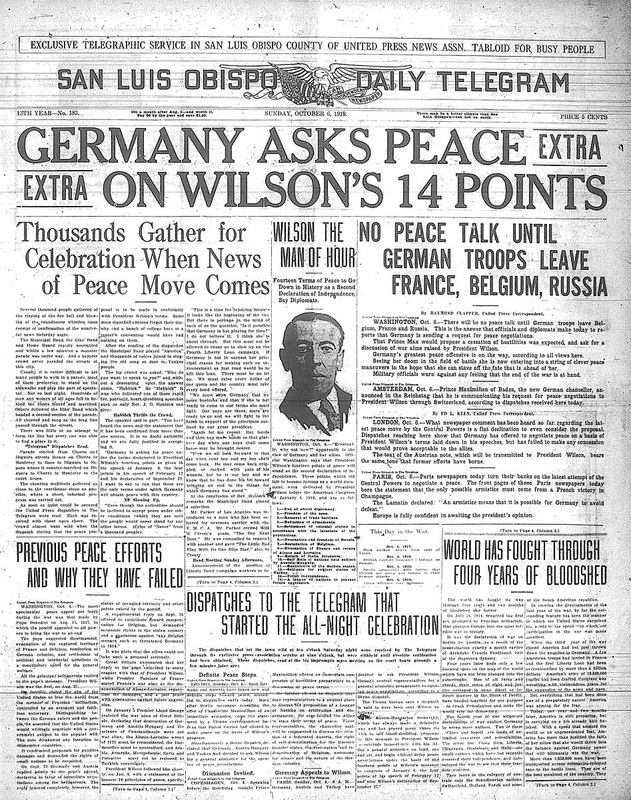 While talking to Lloyd-George and Clemenceau, Woodrow Wilson brought this idea called The 14 Points. These points included the freedom of the seas, free trade, self determination, the Alsace-Lorraine be returned to France, and more. These 14 points led to the formation of The League of Nations.